This venerable monk is a seasoned defender of the Temple. Though his sight left him at a young age his senses and awareness of his surrounding remain sharp as a fox. Like most monks of his age there is little left in this world that can cause fear in this wandering warrior of the Temple. 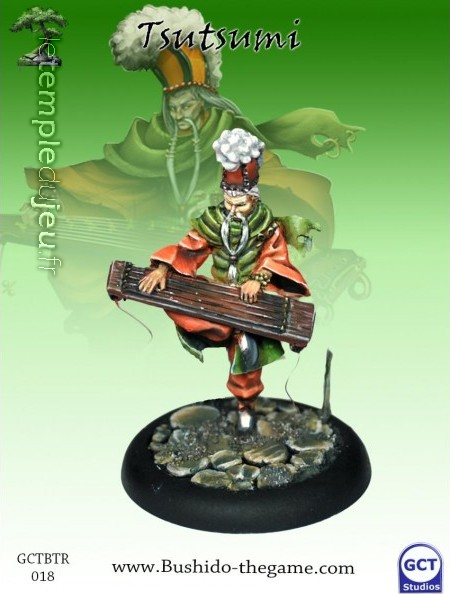 In battle Tsutsumi carries with him the ancient Guqin, carved from an ancient wood and passed down from ... <lire la suite>. This venerable monk is a seasoned defender of the Temple. Though his sight left him at a young age his senses and awareness of his surrounding remain sharp as a fox. Like most monks of his age there is little left in this world that can cause fear in this wandering warrior of the Temple. In battle Tsutsumi carries with him the ancient Guqin, carved from an ancient wood and passed down from monk to monk since the first rays of sunlight rose over the mountains of Ro-Kan. When his lithe fingers strum its strings as he has done for many decades, using the sweet sound and combining it with his deep voice to create powerful prayers, Shomyos. He uses these to inspire his allies, or suppress and distract his enemies. 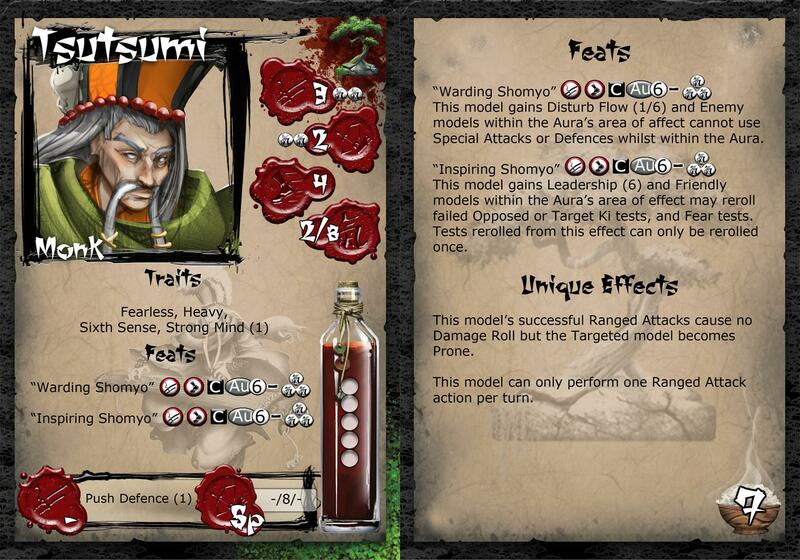 Tsutsumi can also use the Guqin to channel a powerful wave of sound, knocking hapless enemies to the ground.